The long-running feud over noise between Harbourside Place and the town took a new turn Friday when Harbourside announced that it had cancelled all concerts for the foreseeable future. “No one wins in the situation going on,” he said. The move comes after years of bickering between the town and the developers of the complex on the northwest corner of U.S. 1 and Indiantown Road over the noise generated by its events. Since Harbourside’s opening in December 2014, the town has received a steady stream complaints about the noise levels emanating from the venue. Harbourside maintains that the town continued to change the rules for concerts to be held at its amphitheater, Mastroianni III said. The requirements essentially gave the town “complete control” over what can be played, Harbourside said in a Jan. 5, 2016 lawsuit filed against the town. The town, on the other hand, has said that Harbourside needs to have an outdoor venue designation in order to play music at a slightly increased level, so long as the sound is measured below 55 decibels at the neighboring residential property line. If there is no outdoor venue designation, Harbourside must obtain special event permits. The town added certain requirements with the permits, such as the days when concerts could be played, what types of instruments weren’t allowed and when the music had to stop. A judge ruled in favor of the town when Harbourside claimed the noise ordinance violated its freedom of expression. Harbourside appealed the decision in June. By March, The concerts were back on. 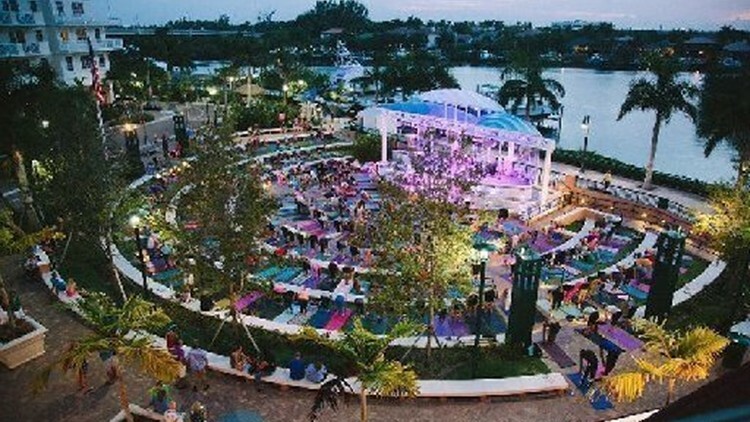 As of Sept. 7, Harbourside had accrued more than $57,000 in fines and special magistrate administrative costs for holding outdoor concerts without special permits and violating the development order. Harbourside so far had paid $44,354.59, according to Jupiter code compliance supervisor Dean Fowler. The next concert would have been Nikki Lickstein performing on Saturday, according to Harbourside’s website.